This is the team I think we are likely to see but Klopp might be tempted to bring in Origi for one of the front three which I woudlnt be totally against either given our strong position. It is probably a game too early for Joe Gomez to start but I would like to see him on to mind Trent at right back on the hour if possible. A professional job and then we go again in the league. 0-2 Reds again!! Hendo starts every match till the end of the season for me now. Just a case of being professional and efficient now, patient game and wait for a gap to exploit. Sooner or later they are going to have to try and go all out in the game and when they do, make sure we take advantage. Expect Gini and Milner will come into the team, probably at the expense of Keita and then obviously one of the other two which then hopefully means we go back to Fab, Hendo and Keita at the weekend. Defence will probably be the same as the first leg but with Robbo at LB. Front 3 picks itself but I wouldn't be shocked to see a couple of them taken off for Origi and Shaqiri at some stage. Another clean sheet hopefully, make it 3 on the bounce. Perfect position going into this 2nd leg, it should be a formality so let's hope we make sure that's the case. I hope so mate, hit them hard and fast! Couple of early goals and it should be a formality! If we get a couple of early goals (IT Will BE A FORMALITY).no doubt about it.There is no way that Porto will score 5. I'd rotate a little bit for this game, perhaps start Origi and even Shaq and have a bit more grit in midfield so Fab, Gini and Hendo/Milner. If need be we can crank up the heavy metal but I think we'll nick a goal and put it to bed. I personally wouldn’t rotate for this one. This is massive, champions league quarter finals!! Just the last few games, we’ve seemed vulnerable to a smart through ball, or balls over the top to runners from deep. Happened v Porto and Chavs. We really need to sort that out, holding a high line and not being alert enough to spot the runs. Probably need to hold the back line a bit deeper to counter that. Porto have a few speedy players, need to be careful there. As a Hendo critic, I have to say he’s been a revelation of late. Has to start tonight, and I think with Gini and Millie. We need to hold that midfield and possibly serve the strikers with slightly longer balls so we don’t get caught out too far upfield. Front three are on fire again and the back four and keeper is nailed on. I’m sure we’ll go through but i don’t think it will be as easy as some are stating. I rekon we’ll get s 2:1 win but there’s gonna be some tough moments throughout. These ain’t gonna lay down and will be confident they can get through. An early goal by us will take the pressure off and hopefully we can manage the game like we have recently. If they get an early goal, we gonna really be under pressure and have to hope we can keep our nerve and don’t panic. We have been good in that respect all season, but this is a passage into the C L semis ! Looking forward to it, but a bit nervous as well. 5 mate, they would need 5 if we are 4-0 up on aggregate! Man needs a rest after the running he put in Sunday. We need him at this level for the rest of the campaign and surely the midfield can cope without him for this! Comprehensive school education, and too many good looking girls there to boot, what can i say...? 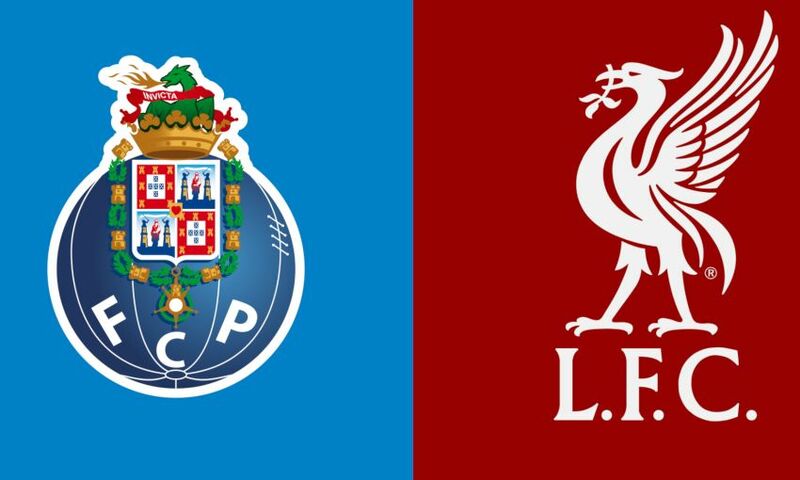 Can use Gini v Porto if that's true. Just get the 1 goal no way way they are scoring 4. Score the first goal & make them come out then score a few more & put the tie to bed handy. I never experienced comprehensive schooling but one thing’s for sure, if girls had been present they most certainly would not have been “booted”. On topic - the early goal will see them fold, really don’t see any upsets. They have to be committed to overturning the first leg and come out, the lads are well equipped to take advantage. Not sure about that; he's been in & out of the side this season and his fitness is his greatest asset, so think he'll be fine and more importantly, I believe he wants to start every game now. I believe he wants to start every game now. He’d have wanted to start every game anyway, every player should want that! With Hendo, it’s not so much his fitness that is ever an issue but he’s quite susceptible to little injuries that can keep him out for a week or so, that’s the only reason I can see him being rested for this game, to make sure he’s good to go for the weekend. In all honesty, we should be able to change the team a bit for this match and still comfortably go through. It would be a tough call to drop Hendo he has been brilliant. I do think you need Fab in there to provide the cover, he is going to be world class. Play your strongest team, no messing around, get the win and move on, that's all that matters. If it's put to bed early and you can rest a couple guys so be it. They have plenty of recovery time for the weekend. Sh*t. I'm not ready for this game, I'm still recovering from the Chelsea game! Yet ANOTHER massive Champions League game just sneaks up on us! How on earth does that even happen - years gone by I'd be fixated about a game of this magnitude - just shows how far we've progressed, what a wonderful season we are having. Gomez to come back in at right back, feel as though it's a good chance to rest Trent and also a good chance to bring Gomez back into the fold to get him warmed back up nicely. Lovren to start over Matip as I feel he did very well in the first leg bar a few positional hiccups. Gini to start as he should be fresh after a bit of time off and brings a great calmness to the team. I was close to picking Keita as he has had a good turn of form of late but we could bring him on later in the game. Hopefully the game is in the bag by the 60-70th minute and we can start to bring off the front 3 to save their legs. Shaqiri or Origi do not know who to choose. I would rest Henderson and Firmino for Easter Sunday.